Dolichorhynchops was a prehistoric animal which lived approximately 80 million to 70 million years ago during the Late Cretaceous Period. It was first discovered around the turn of the 20th century and was named by Samuel Wendell Williston in 1902. 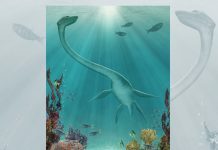 The name of this animal is Greek for “long-snouted face.” However, many paleontologists have given her the nickname “Dolly,” a name which is a whole lot easier to pronounce than Dolichorhynchops. 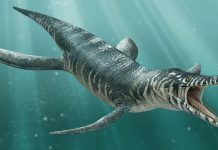 If you have ever looked closely at Dolichorhynchops pictures, then you might have mistaken this animal as some sort of a prehistoric dolphin or that it was somehow a cross between a penguin and some sort of shark. However, you would be wrong on both counts. 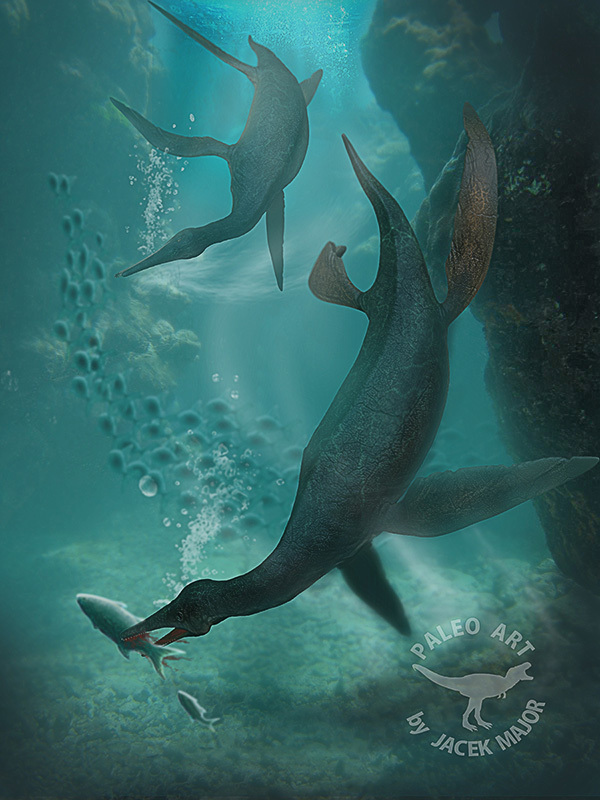 This animal was actually a plesiosaur – although it was sort of an atypical one because of its head size and because of its short neck. 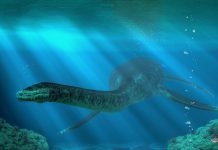 Usually, plesiosaurs had very tiny heads that were placed at the end of very long necks. 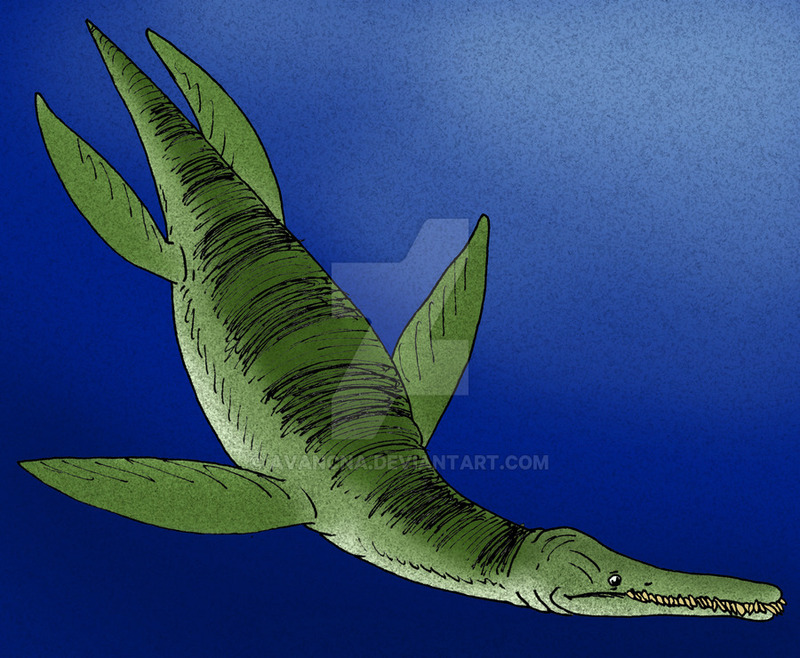 Dolichorhynchops wasn’t built like that, though. It had a larger head with a long snout and its neck was short and thick. 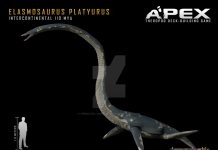 Dolichorhynchops was approximately 17 feet long and weighed around 1,000 pounds. Analysis of this animal’s skull seems to suggest that its jaws weren’t all that powerful. Which meant that it not only couldn’t have eaten the mollusks of the time but also probably couldn’t have eaten fish. Which means that it probably feasted on squids. After all a squid’s body would have been soft enough for this animal to have eaten. 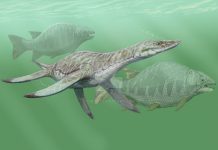 However, one of the most interesting facts about Dolichorhynchops is that it eventually went extinct and its evolutionary niche was filled by Mosasaurs. That’s because these creatures were better adapted to feeding from the ocean than Dolichorhynchops was. 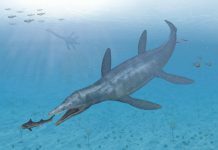 Which means Mosasaurs most likely out-competed them for food – thereby, driving them into extinction.